In the first row of pews in St. Peter's Basilica, above first at left, we see the so-called archbishop Karl Rodig, a fallen away Catholic priest who founded the sect named Ecumenical Catholic Church of Christ, based in Detroit, Michigan. The main characteristic of this sect is to promote "marriages" for all kinds of male and female homosexuals. The Vatican wanted to listen to what Rodig had to say on his "experience" with homosexuals and, for this reason, invited him to be at the Synod. 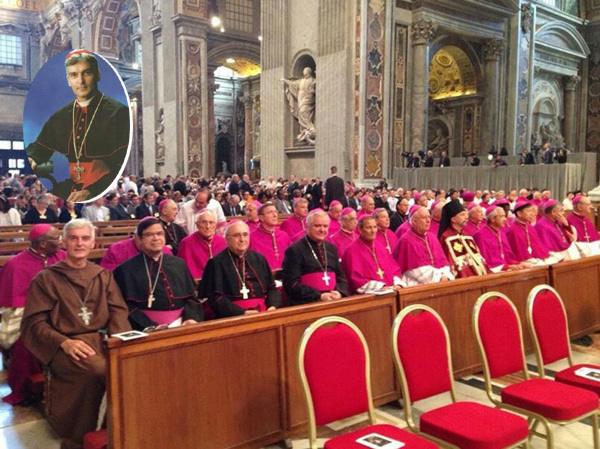 Below first row, Rodig is the first at left, in the pew especially reserved for heretics, placed in honor just behind the chairs of the Cardinals in the Vatican Basilica. We see Rodig standing at the arrival of Francis for the opening Mass of the Synod, in October 2014. In the second row Rodig is in the temple of his sect welcoming a couple of lesbians. 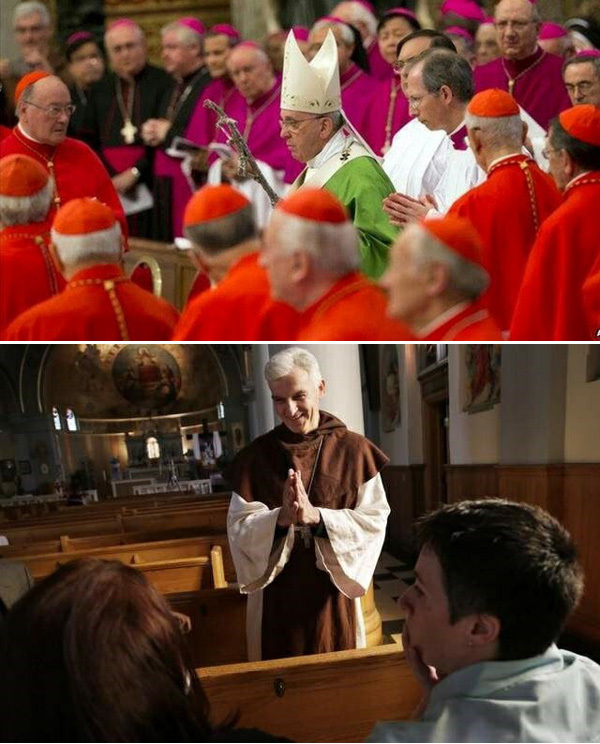 Another sad sign of the openness of the Catholic authorities to heretics is that Rodig bought in 2007 from the Archdiocese of Detroit (Cardinal Adam Maida) the closed St. Anthony Catholic Church, which would never be allowed to pass to the hands of traditionalist Catholics in the event they wanted to buy it.